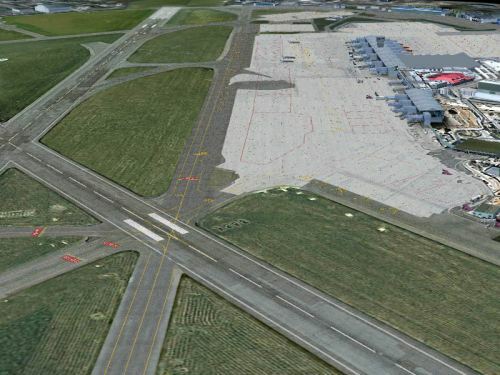 MK-Studios Warsaw Airport X for FSX and FS2004 free download at MK-Studios . Warsaw Chopin Airport (Polish: Lotnisko Chopina w Warszawie) (IATA: WAW, ICAO: EPWA) is an international airport located in the Okecie district of Warsaw, Poland. 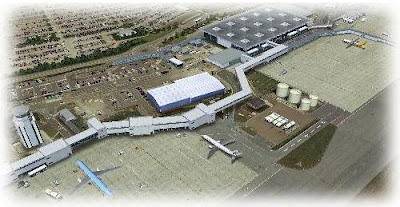 Formerly Okecie International Airport, it is named after the famous Polish composer and former Warsaw resident, Frederic Chopin. It is Poland's busiest airport, handling just under 50% of the country's air passenger traffic. UK2000 Bristol Xtreme v3 has been released. For more information visit the UK2000 Website. Virtual Dispatch v0.5.0 is available at the Virtual Dispatch website. TOPCAT version 2.70 is available on the TOPCAT website. 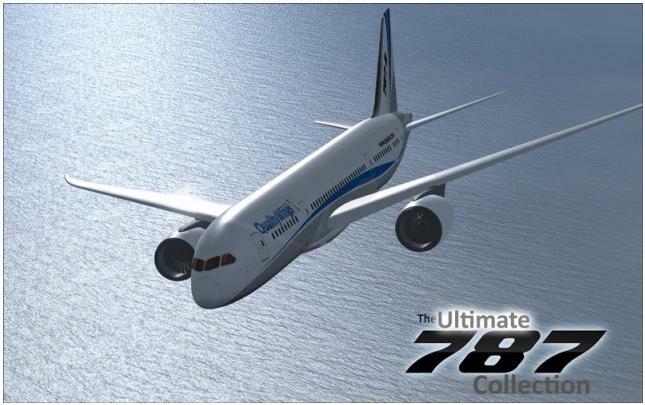 Qualitywings Ultimate 787 Exterior Model FIRST LOOK in the Qualitywings Forum . 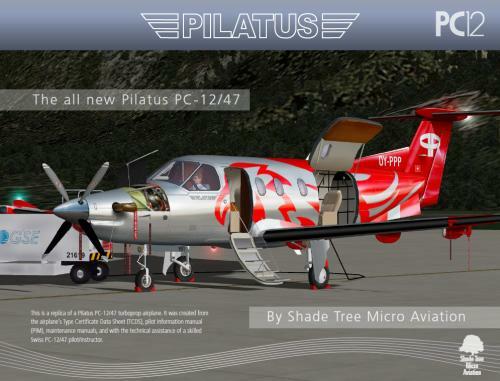 Pilatus PC-12 by Shade Tree Micro Aviation for X-Plane has been released. More at Shade Tree Micro Aviation. 1) A new fully animated exterior with animated doors, realistic lighting, and even a physical display of wing icing! 2) A ground power unit to provide external power to the aircraft, and a robot tug which uses the Shade Tree Micro Aviation (STMA) Remote Control to move the aircraft into and out of our HangarOps animated hangars. 3) A manipulator-based 3D cockpit so realistic that we use the authentic Pilatus PC-12/47 pilots information manual (PIM) to describe the functions. 4) A Checklister (plugin) checklist is included to make configuring the model for flight a snap. Download Checklister from the X-Plane.org . 5) Through the use of Scriptable Avionics Simulation Library (SASL) and XAP, all of the aircraft systems and instruments work exactly as they do in the real airplane. Note: the current version of SASL/XP works on Intel Macs but NOT on PPC Macs. If you're using a PPC Mac, please DO NOT purchase this model. 6) Five exciting skins (Midnight Sky, Western Australian Police, Royal Flying Doctors Service, Parrot, and Silvery Tan) included with the model . Other new skins will be released approximately every two weeks for the next couple of months. 7) Our new popup STMA dock which allows you to open and close the doors and the cabin window blinds; pop up portions of the instrument panels to make adjusting settings more easy for aging eyes; and instantaneously swapping out the cabin between the Luxury Passenger and Medical Evacuation. Carenado Cessna C340 II has been released. Carenado . Two original GNS 430 included. Customizable panel for controlling, windows transparency, 3D Knobs and Eyes candies (wheel chocks, pitot cover and sights prop). Pop up C340 II manual with performance charts, normal & emergency check list. PDF documents: Normal and emergency procedures check list, GNS430 User Guide, Weather radar manual and VC diagram. FS Recorder 2.1 beta 2 for FSX and FS2004 is available for download at the FS Recorder Website.